The ambassador of the European Delegation to Sri Lanka this month warned against the island's heavy reliance on China economically. 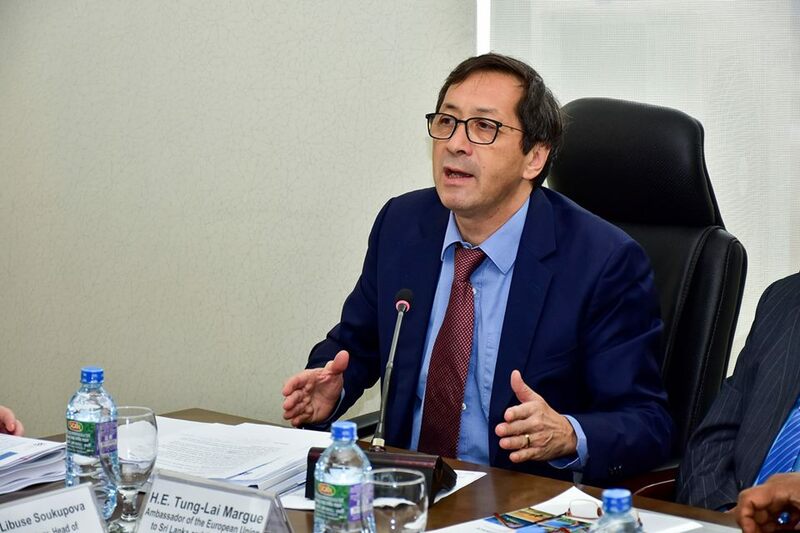 "If there are too many Chinese eggs in one basket, it can become a danger," Ambassador Tung-Lai Margue said at an event organised by the European Chamber of Commerce in Sri Lanka. "I'm saying this not from a diplomatic point of view but a common sense point of view," he added. "Sri Lanka is dependent on China to a great extent on loans, infrastructure, and investments. India too is involved heavily. China's Belt and Road Initiative is not viewed negatively by Europe and regions such as South Asia and South East Asia would stand to benefit from it. But it also depends on a lot of factors and governments need to remain vigilant." Sri Lanka could balance risks out by enabling European foreign direct investments into export-oriented industries, Margue said. "Something could be done and must be done to counterbalance that element and for European enterprises to enter into the market."